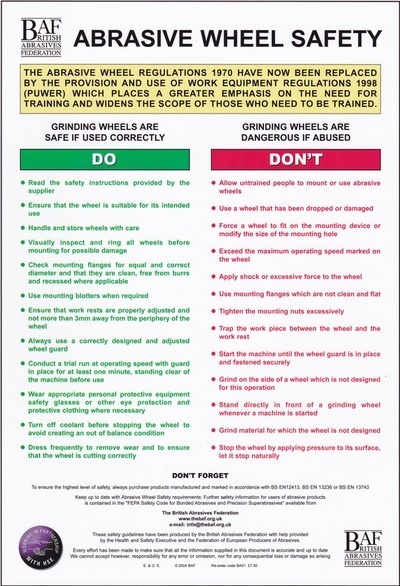 As all of our trainer led abrasive safety training courses are accredited by the British Abrasive Federation (BAF), all successful candidates will receive a BAF accredited certificate and their details placed on the BAF national register (after the completion of a validation consisting of a theory test and a practical observation). ABTAC prides itself on ensuring that each private course we provide is tailored to your employees needs, ensuring that the course content is as relevant as possible. 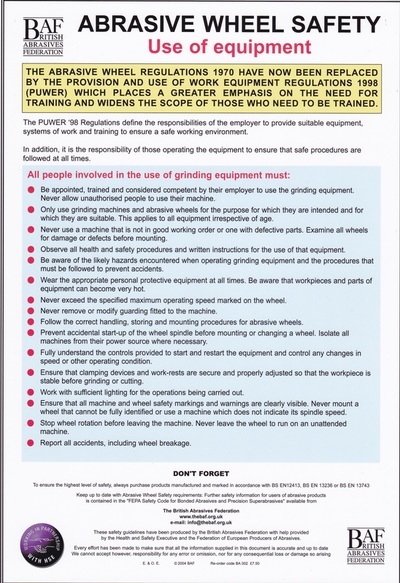 Private courses can be tailored to focus on either Handheld and bench grinding machines (e.g. 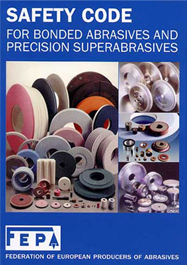 angle grinders, petrol saws, pedestal grinders), or precision grinding machines (e.g. 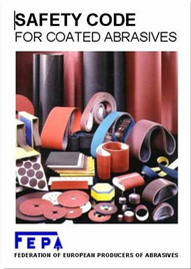 cylindrical, surface, internal) if required, or cover everything. 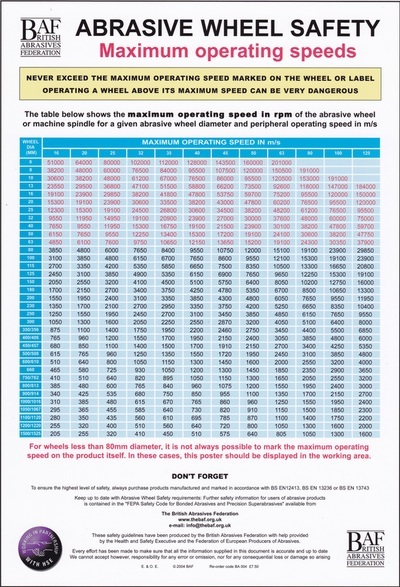 Costs for abrasive safety train the trainer courses vary dependent on: number of overall attendees, number of attendees you wish to have on each course. Generally the more attendees per course, the lower the cost per attendee. For more information or an individual course please complete the form on this page or email info@abtac.co.uk. 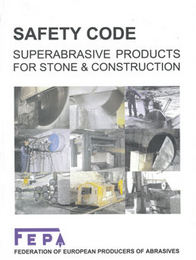 Do you have copies of the relevant FEPA safety codes? 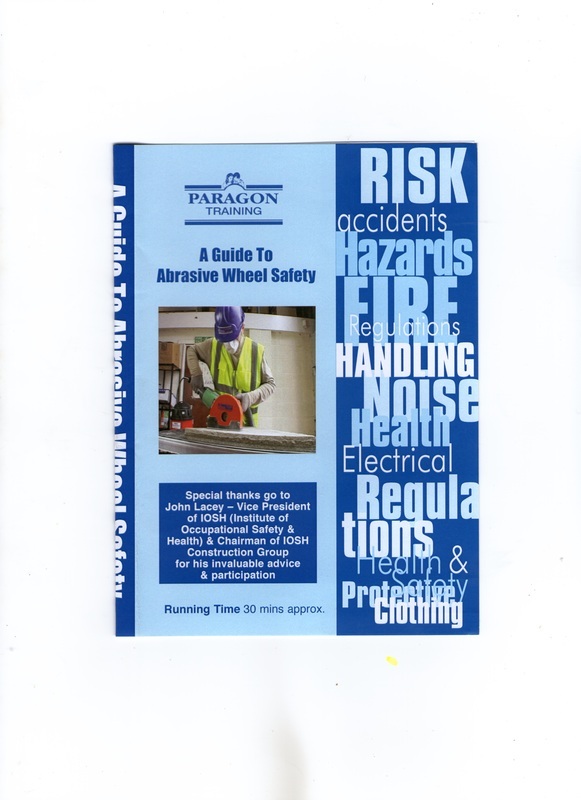 Or the BAF abrasive safety posters?